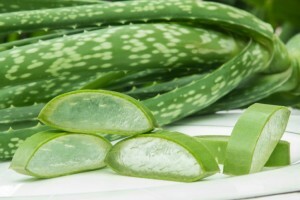 Aloe plants can bring a freshness into your apartment while also healing your burns and skin ailments. What’s not to like? Do plants tend to die in your home? Never got the hang of hanging onto your lucky bamboo? Well, that doesn’t mean you can’t grow some beautiful plants in your apartment. You just need a plant that is a little sturdier than normal. So let’s check out some sturdy plants that are nearly impossible to kill. Jade is one of the hardest plants to kill because it requires very little care. The flowers on this plant are extraordinarily beautiful and will add beauty and color to your apartment. To take care of this plant, you will need to water the soil when it becomes moderately dry and to wipe down the leaves to remove dust when necessary. Spider plants, scientific name: chlorophytum comosum, gets its name for the leaves that hang down from the planter. These plants are commonly planted in hanging pots to get a dramatic effect but can be potted in almost anything. Apartment dwellers love these plants because they are particularly easy to take care of. They only require watering each time their soil dries out. Does your apartment need just a splash of color? Unfortunately for most people without a green thumb, growing flowers can be hard. But African violets are easily managed and will give you plenty of colors. Simply water them once a week and you will be able to enjoy their vibrant hues. You may be thinking: why would I want to grow aloe; it doesn’t do anything! But that is completely untrue. Do you get burned every time you cook something? How about sunburn? Do you have sensitive skin? Do you like oxygen? If you answered yes to any of these questions, aloe is for you. Aloe is not just a plant; it can actually help you. Aloe is known worldwide for its healing properties and has been known to be put in skin masks as a moisturizer, heal sunburn or skin burns, help with cuts and wounds of all sorts, and even help itching or skin irritations including psoriasis and eczema. These thin, pointy tentacles are full of healing sap that can only help you. As a bonus, aloe is one of the easiest plants to take care of as it only needs to be watered when the soil is completely dry, about every two to three weeks. Cast-iron plants appear to be a non-flowering plant but that is actually not true. These plants have small purple flowers that appear close to the soil, often hidden by the foliage. The main focal point of these plants are the thick, dark green leaves. They are slow growers but can reach a maximum height of two feet. Worried about the level of light in your apartment? Cast-iron plants grow well in low light, with minimal watering, and even in poor soil. What’s so hard about that? You do not need a green thumb to grow plants in your Harborside Village Apartment. By doing your own research and remembering to give these plants a little water every week, your plants will thrive! Bringing Spring Inside at Harborside Village Apartments! This entry was posted on Tuesday, February 23rd, 2016	at 8:28 pm	. Both comments and pings are currently closed.